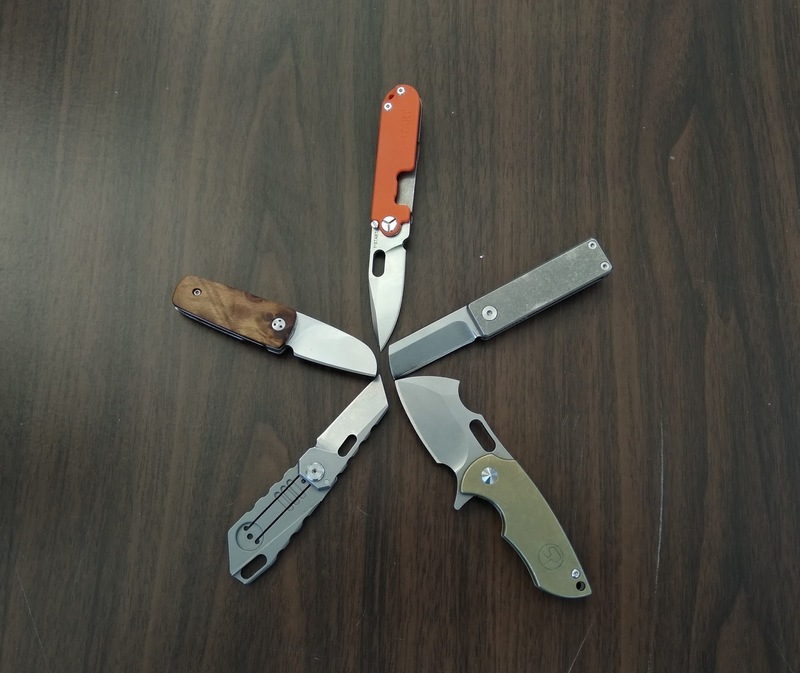 Best Chinese Knives: Mini EDC Knives 5-in-1 Compilation Review! Mini EDC Knives 5-in-1 Compilation Review! So I'm back from my trip to Northern Italy and am really behind on my knife reviews, so will do a few short review compilations to catch up. For this compilation I chose all of the mini knives I have got a while ago but haven't reviewed yet. All of those are budget knives that cost less than $30 and could fit comfortably in the small jeans pocket. 1. FricBric clone - pretty interesting story behind this one. 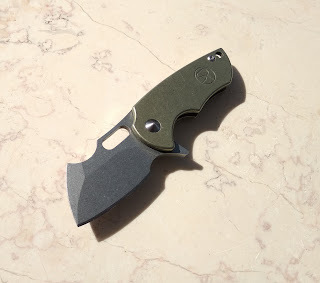 The original was announced a while ago on Kickstarter and as far as I know people haven't received their knives till this day. The Chinese got the blueprints somehow and actually made it before the original knives seen light. 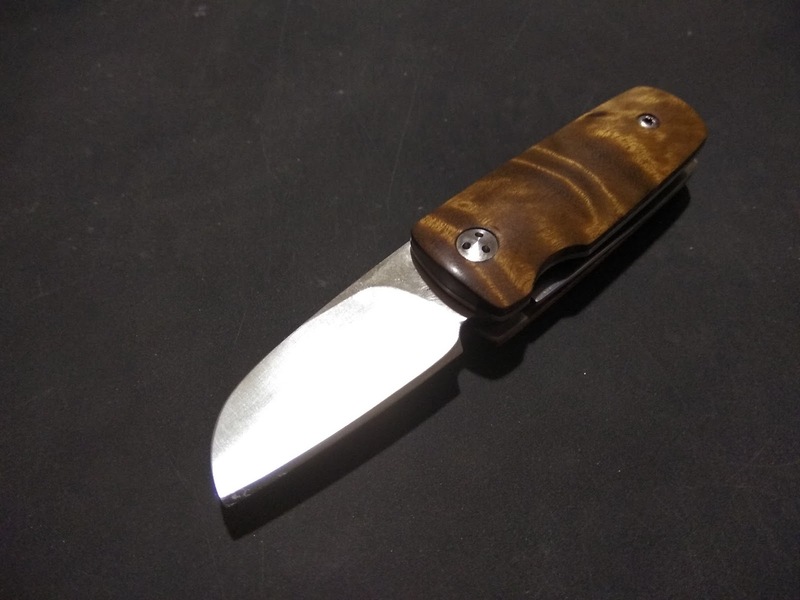 As to the knife itself - it can be flipped out, the bottle opener is usable (although not the best opener I ever used), the detent is created by a spring powered detent and there are ball bearings in the pivot. I disassembled the knife and cleaned the insides to make it work smoother and better. 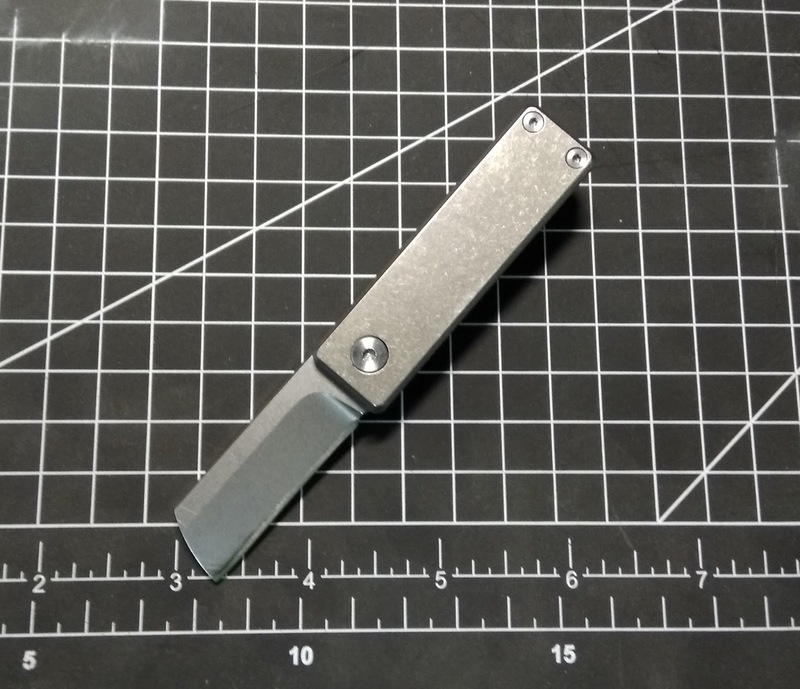 The pocket clip is very stiff (almost unusable) and the grind is pretty thick. The good part is the Fric Bric clone is non-locking and will be legal for UK carry. Overall loved the design, the unique freatures and carried it quite a bit. Loved the surprising ergos, the action, lots of deployment methods, the execution and the quality out of the box. Also the stonewashed copper finish on the handle is pretty interesting. 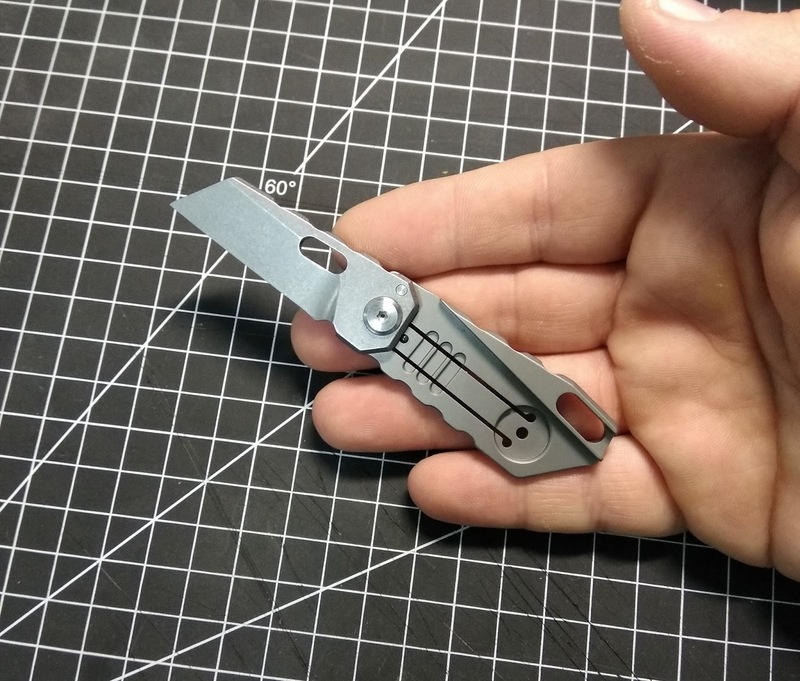 Disliked the fact that they used SP logo, although he doesn't even has a knife like this in his lineup, the sharp pivot (solved in under a minute with a file) and the fact that it comes without the pocket clip. Overall cool knife, but I wish I got it with a frag pattern (without the SP logo). 3. FURA Friction Box Cutter. 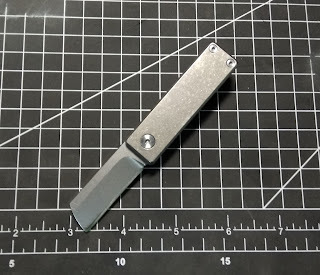 I was unpleasantly surprised to see this knife doesn't has a lock, but is a pure friction folder that needs to be held open when used. Other than that cool design, nice execution, is sharp out of the box and carries well on a keychain. Would prefer it to be locking knife though. This one actually pleasantly surprised me as I was expecting worse. 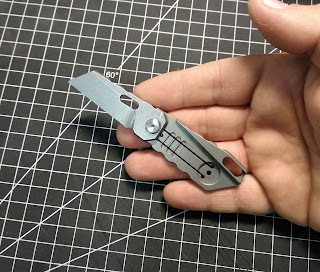 I thought the knife only opens using the thumb hole (not the most comfortable method on such a small knife), but it is actually a hidden flipper. All that is needed is to push on the blade tang and the knife flies out. The frame lock also functions great (although doesn't have the steel insert) - no lock stick or blade play whatsoever. The quality out of the box is also great, wasn't even needed to disassemble it. Pocket clip is usable and it also comes with a leather sleeve in the box. 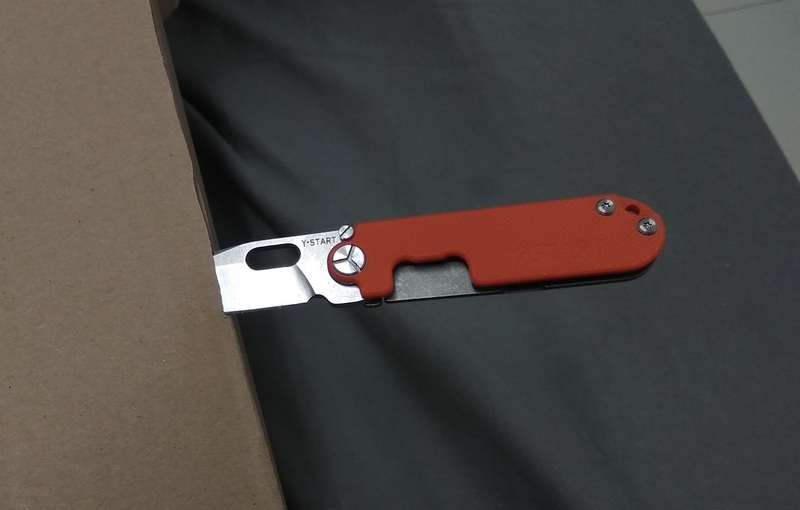 Overall pretty cool usable little knife (used it quite a bit while moving, including assembling IKEA furniture). Another cool small knife I got because I was interested by the design and the concept. It is pretty smooth (could be flicked out like a front flipper) and has a liner lock for secure lockup. The handles are made from stabilized wood and it utilizes triangular proprietary screws. Comes with a plastic case for a safe carry on a keychain. Overall I like it very much, especially for the price. If you have any questions about these knives or want to know details I haven't mentioned - please write those down in the comment section and I will do my best to try to answer all of them.